Buying a used car can be a great way to save a lot of money. While driving a brand new car off the lot may make you feel very successful, there is nothing more financially savvy than purchasing a previously owned car that is in great shape. 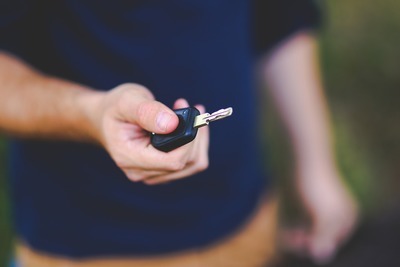 However, just like with buying a new car, there are some key tips and tricks to keep in mind to ensure that you get the best deal for your money. Here are some tips to keep in mind when purchasing a used car. Do your homework before you head off to buy your used car. Research different dealerships in your area, in addition to looking into private seller options. This is where user reviews will be a lifesaver, as they will tell you about how different dealerships do business and whether or not customers were satisfied. Even if a used car looks perfect, it might have some flaws that can't be seen by the eyes. This is why you need to see the reports of a car inspection before you make any decisions. If the seller or dealership seems reluctant to provide you with the results of a vehicle inspection, move on. This can often be an indicator that the car has been in an accident or has some serious problems. With new cars, prices can often be firm. After all, a car that's fresh out of the factory is pretty much worth the same at any dealership in the country, much like any brand new item. However, there is much negotiating to be done when purchasing a used car. Familiarize yourself with the model of the car and what other sellers want for it. If the car has any imperfections, even minor cosmetic damage, don't be afraid to use them as bargaining chips. Just because a car is being sold very cheaply doesn't mean that you should buy it immediately. Even cars that are priced very low will continue to drop in price as weeks go on. Waiting can be wise when it comes to purchasing a new car. Oftentimes it's best to look at the beginning of the month and return towards the end of the month, when salespeople are hurrying to make their quotas. If you do your homework and really take your time, you can save a lot of money when you purchase a new car. Remember, don't rush into any quick decisions, and don't be intimidated. Bargaining and negotiating is standard in any car-buying process and there is nothing you can say that would result in a dealership flat-out turning you away.